Slate is known for its versatility. It is durable, attractive and affordable making it a very popular option for residential and commercial projects. Slate kitchen floors and worktops can add a lot of style to your home interiors. 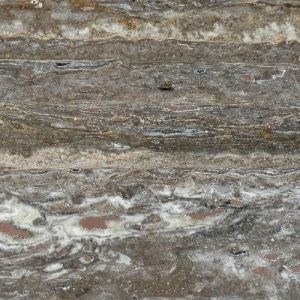 This stone will provide a hassle-free experience while giving you the looks and texture a stone worktop. It is highly non-porous and highly resistant to stains, discolouration and bacteria. It is also heat resistant which means you can place hot pans and plates directly on worktop without a worry. If you are interested in bespoke slate worktops in the UK, KML Worktops is a leading name. We also offer a diverse range of textures and colours to go with every style and taste. We apply the latest technology to traditional methods to create the best worktops for you. Our technicians are skilled in cutting and finishing slate worktops that go with the décor of your home, office or restaurants. Our slate kitchen worktops and floorings are a trendy choice for homeowners and interior decorators. You will fall in love with the customised designs and the best quality we offer to all our customers. Our services are incomparable, and we offer installations at affordable prices. Our stonemasons will visit your home, or commercial space, to help you install your flooring or worktop perfectly. You can be assured each one carries a rich experience to ensure there are no flaws or faults. Visit our gallery to see our customised slate kitchen flooring and worktops for all our customers. If you have a query about worktop installation or replacement, or if you are looking for a free quote, or want to about slate worktop selection, design or finish, please call or email us.